Hey! 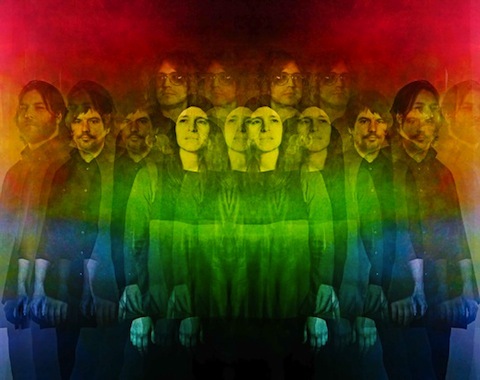 Manchester is excited to present The Besnard Lakes‘ first show in Manchester since 2007. The Besnard Lakes, from Montreal, Canada, were formed by husband-and-wife duo Jace Lasek and Olga Goreas in 2003. 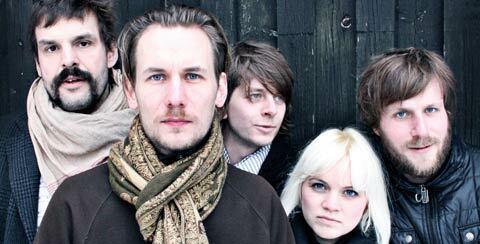 They are currently a four-piece, centred around the couple’s atmospheric songs. Their second album, The Besnard Lakes Are the Dark Horse, was recorded at singer Lasek’s own Breakglass Studios, with members of Stars, The Dears and Godspeed You! Black Emperor and A Silver Mt. Zion making guest appearances. It was nominated for the 2007 Polaris Music Prize. A third studio album, The Besnard Lakes Are the Roaring Night, will be released on Jagjaguwar in March 2010. It will be prefaced by a 12-inch record featuring the single Albatross. The band also provided the score for Sympathy For Delicious, the directorial debut from actor Mark Ruffalo, which premieres at this year’s Sundance Film Festival. Support comes from Copenhagen’s Alcoholic Faith Mission – a band we’re expecting big things from if they carry on like this. Plus their new album, Let This Be The Last Night We Care, is something special. Joining them on the bill are the Besnard Lake’s label-mates, London’s psychedelic Wolf People, whose debut album will be released in June. Tickets available from the bar, Piccadilly Records, Seetickets.com and on 0161 832 1111.